Do you accept Subsidized Children? Yes, when a parent receives a subsidy, it is the parent’s responsibility to pay any additional expenses. These will not be reimbursed under their agreement with the Department of Education and Early Childhood Development. Do you accept children with special needs? Yes, we welcome children with special needs, whose physical, cognitive, socio-emotional, communicative and/or behavioural aspects are affected and need to receive services or additional support. If the total number of registered children with special needs exceeds the 10% set by the SCCG, the inclusion committee will conduct an analysis on individual applications. We speak English at home, can my child still participate in your programs? Yes, although we strongly encourage you to speak French to your child from birth. Please refer to our eligibility criteria for more information. How does language-learning take place in the classroom? We provide our educators with tools such as visual aids (images, objects, pictograms, etc. ), and encourage them to use strategies such as supporting words with gestures, using short, simple sentences, rephrasing words expressed by the child, using repetition, music and stories in French, etc. to foster the development of your child’s language abilities. We do our utmost to make the use of the French language fun, positive, engaging and appealing. We acknowledge that many of the children who attend our centres are from English-speaking background. Our main goals are to ensure they adapt well in their new environment and that they create bonds with the educators and their classmates. Once they’ve successfully integrated into the classroom, and have formed strong emotional bonds with their peers, children can devote their energy to developing spontaneous French conversation. Do you always communicate with the parent in French? In most cases, yes. Increasingly, our written communications will be bilingual to ensure that all our clients can understand and be engaged with our centres. Educators will speak English to English-speaking parents (when possible), but will not do so in front of children to help further their French-language development. We would like to cancel our child care services. How long do I have to give notice? When parents want to stop making use of our services, they must give a written notice one month prior in order to allow our management to fill the vacant place. If this deadline is not met, the parents will have to pay an amount equal to one month of services, from the date of notice of departure. When parents want to stop using the services of the Garde Scolaire, a written notice no later than June 30th of the current year is required. If the request is made after this date, child care expenses must be paid until June of the following year, unless a replacement is secured. How often must payments be made? You can make a payment for the year of service through a single payment for the current year, which must be submitted no later than the first day services start, or pay via pre-authorized advance payments, to be made every two weeks. Should I pay if my child is absent from the centre? Yes, the days charged include statuary holidays, emergency closures or closures due to inclement weather, as well as any days when your child is absent (either due to sickness or holiday). Do you have a long waiting list? It depends on the program and the centre you are interested in. For daycare services, the waiting times can be up to 3-years, depending on your child’s age group. This is because we guarantee admission to higher levels for all current students. For instance, there are only 8 spaces available at the infant level. If none of these 8 leave our services during the course of the school year, all 8 will be moved up into the following year, where there are only 10 places available, leaving only 2 open spaces. The same holds for the Garde Scolaire. We have a limited number of spaces at each school. If no child leaves the program, then there are no open spaces to accommodate new children. Do you offer a rebate if we have more than one child? Families with more than one child enrolled in our childcare services will receive a discount of 5%, for the older child only. This discount applies only to parents using full-time child care or the Garde Scolaire. This discount does not apply to the program “Grandir en Français”, as it is subsidized in part by the CSAP. My child has allergies. Do I have to provide his/her meals? If, for religious reasons or allergies, a child cannot eat the food offered on our menus, we will help to find a substitute. However, if this is not possible, it is the responsibility of the parents to provide an alternate replacement. Please ensure that these foods contain no peanuts, nuts, or traces of these products. Additionally, please note that any home-meals must meet the standards set out in the Canadian food guide. Are you open on inclement weather days and pedagogical holidays? When CSAP schools are closed due to bad weather, childcare services will only be available later in the day. This allows employees and families time to get to the centre safely. A detailed message is left on the answering machines of the CPE between 6: 00 and 6:45. If the school’s management assesses that road conditions are too dangerous for travel (typically in conjunction with the closure of other organizations, such as the offices of the federal Government, or other child care services) the CPE may decide to close. 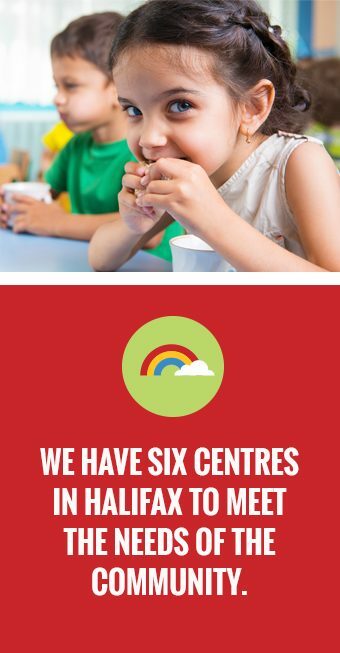 If the Centre is already open and weather conditions change during the day, parents will be initially notified by e-mail to come pick up their children at a reasonable time. Please note that if there is a school closure during the day, all children using Garde Scolaire services will automatically be transferred to our care. Due to the number of phone calls school staff need to make to notify parents, it is possible that parents will be notified after a brief delay.